One of my favorite parts of late spring into summer…corn! It starts appearing in the stores and I get so excited. Zucchini is generally good year-round even if the price is higher, or at least okay. But corn? The fresh kind is only good in the summer and it is awesome. I’ve been buying some each week just because I can’t resist it. I made these two different ways. Well, really just one way. 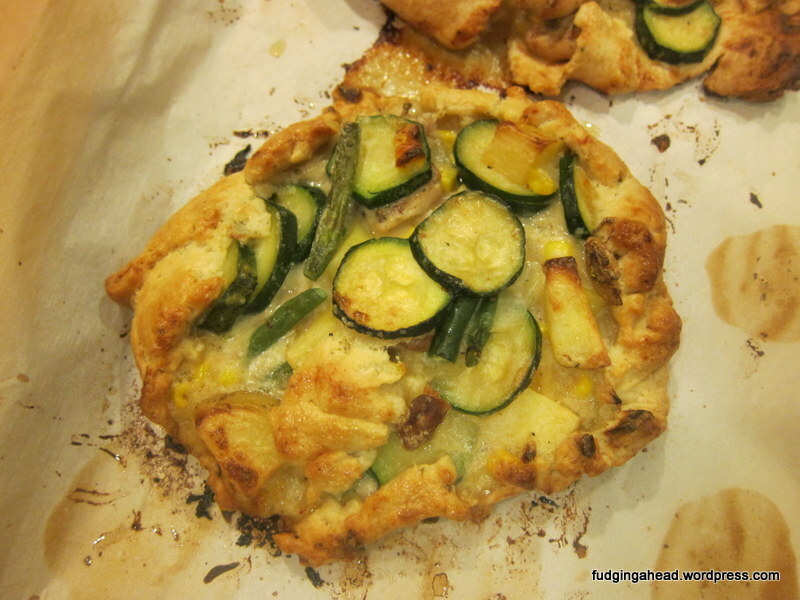 For the galettes, I split the dough in half and made two smaller ones that each fed two people. Then, I had doubled the recipe just to make more to freeze for later (super easy to do). I used the second batch of dough to make two more galettes. And then I had a problem…I had extra filling. So, I made a third batch of the dough and rolled it to make just a pot pie with it (single crust only). Just like with regular pot pies, K and I decided we are single crust folk. We loved the crust, don’t get me wrong, but the galettes were a bit more crust than we needed, and we wanted a bit more filling. You can decide what you want to do. The single crust pot pie was just as tasty, and a bit easier. You could still follow the same recipe below, just skip the forming galettes part, and just roll it as a single crust for a baking dish. I froze it and baked it from frozen. No issues, it just took a smidge longer. Although the galettes are much prettier to look at. My cultural background is quite varied. To the point that I am not entirely sure of all of the countries my relatives are from. But, if I had to isolate a specific cuisine that we had the most, it was probably Italian. So, it is easy to classify me as Italian, even though I am not even quite half Italian. My husband obviously identifies as Chinese, since he is 100% so. As a result, we have lots of pasta and Asian noodles in the house at all times. Sometimes, though, we run low on one or the other. Well, I am here to tell you that you can definitely swap one for the other, depending on the situation. On Wednesday I shared a corn recipe and promised one today. Well, here you go! 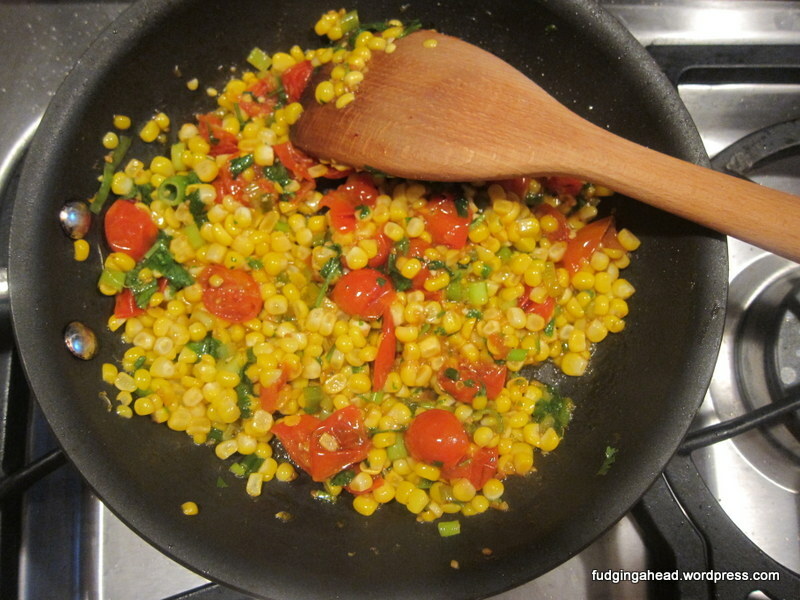 Another easy corn recipe to enjoy your summer corn, and your summer tomatoes! I love cooking tomatoes. They taste good raw, but they get really sweet after they cook down a bit. With such sweet ingredients, I kept the recipe simple. I actually threw it together on a night when we were eating leftovers. Normally leftovers mean a night off from cooking, but I was in the mood to have something fresh, and K had picked up some fresh corn. 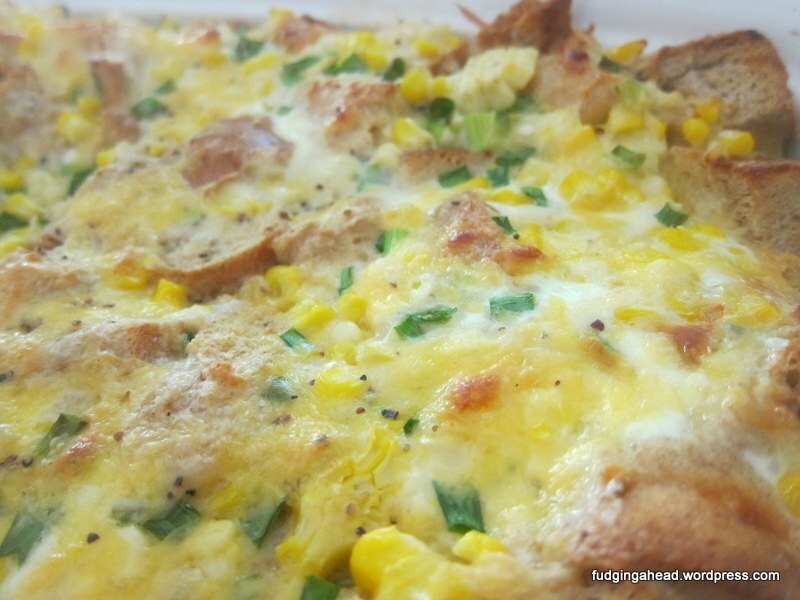 Call this week corny if you will, but I will be sharing 2 corn recipes for you. I always feel like the season for good sweet corn is too short, but sometimes I get bored with just having it on the cob. I started jazzing it up this summer and discovered a few tasty methods that were easy. 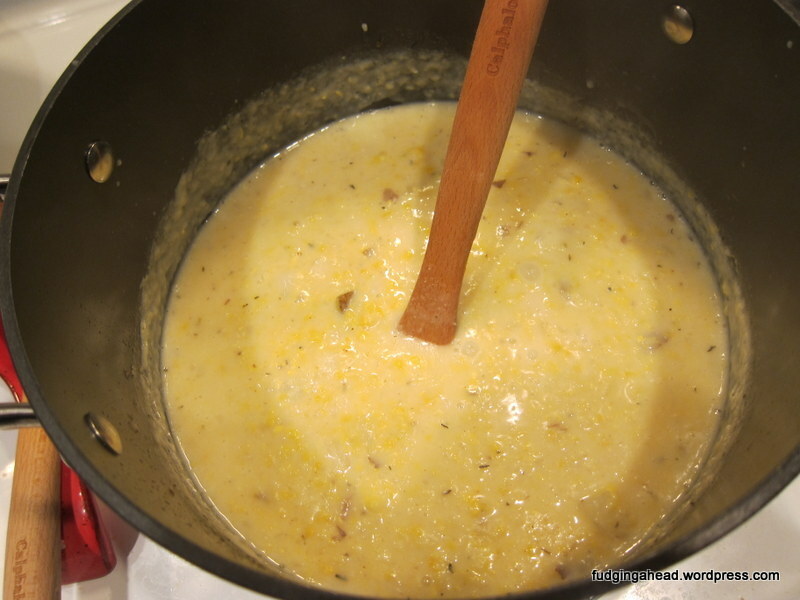 One method (not shown) is simply mixing the corn with a salad vinaigrette. You know, like the one Joanna gave me. That inspired today’s dish. You sometimes have corn in a salad, so the vinaigrette made sense. Why not mix the corn with other foods it is commonly consumed with, like on a taco? 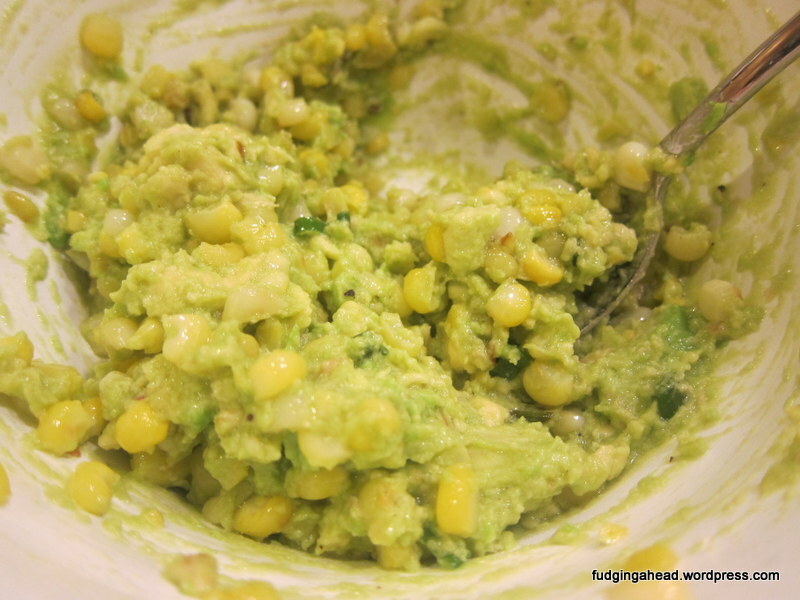 So, I made a guacamole recipe with corn and it was a really nice creamy side. Bonus, it tastes super rich but is healthy because it’s just from the avocado! 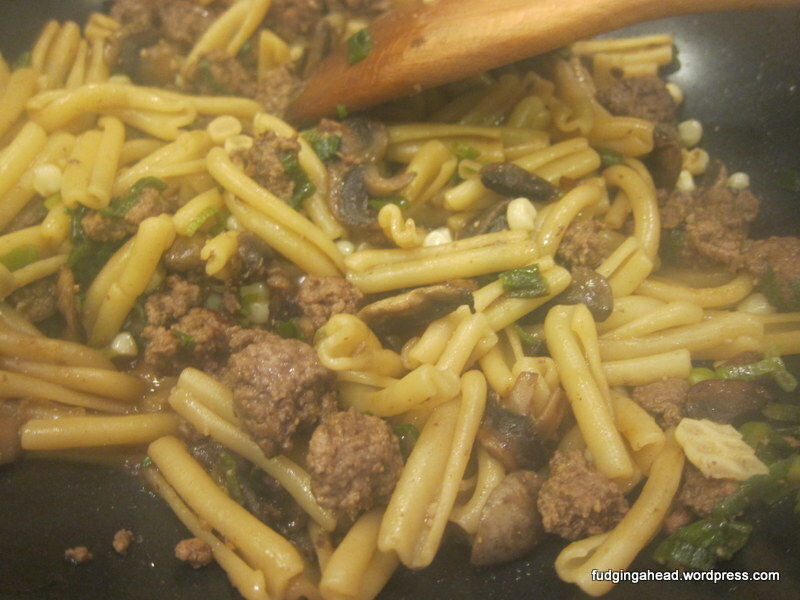 This was another recipe for the “soft foods” period we went through recently. There is some crunchy bacon on top, but apparently K was willing to sacrifice for that (ha!). 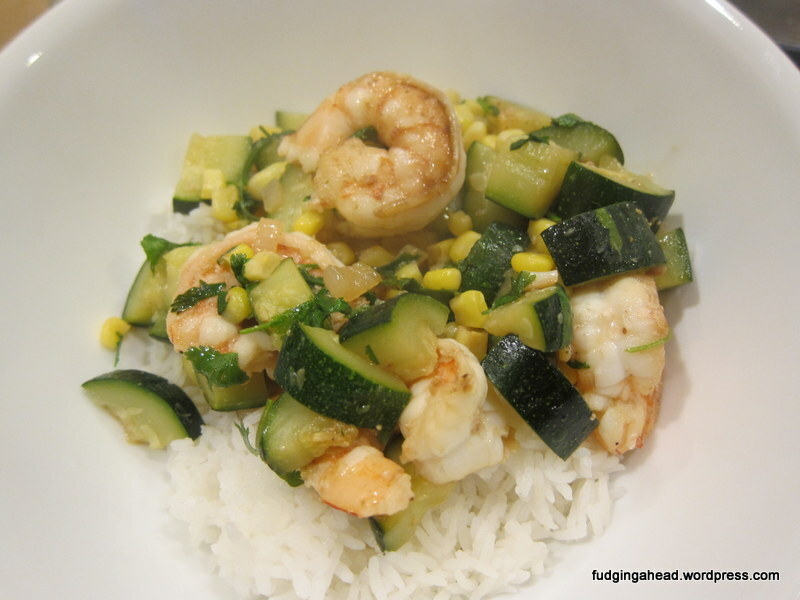 This was adapted from America’s Test Kitchen and turned out really well. It makes a bunch, so cut back the portions. They said you shouldn’t freeze it, but we tried it anyway. We haven’t had any yet to share if it worked or not. The directions for prepping the corn for the chowder were unnecessarily complicated. Using an immersion blender worked just fine.